For the first time we propose a hypothesis of hybrid origin of Calliope pectoralis from two species, C. calliope and C. obscura, based on the new molecular genetic data and phenotypic characters. We examined 80 samples of C. calliope and one sample of С. pectoralis tschebaiewi. We discovered that products of the cytochrome b gene, as well as three transport RNAs, ND6, and a control region (3.2 kb) were heterogeneous in 22 specimens of C. calliope. The result of cloning of these amplicons produced two clone variants: the cytochrome b gene of C. calliope and the nuclear pseudogene homologous to the cytochrome b gene of C. pectoralis (96% match). 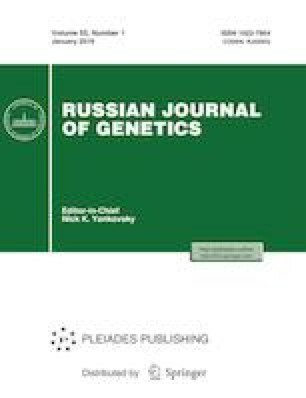 Computer assisted phylogenetic analysis of the connections between the cloned sequences for the mtDNA cytochrome b gene and its nuclear copies revealed a distribution into two clades: C. calliope and C. pectoralis. This can be explained by an intergenomic recombination event, namely, a transfer of C. calliope’s nuclear copy of the cytochrome b gene into a mitochondrial genome of a hybrid female that later became the founder of the C. pectoralis species. According to morphological features, the second species involved in hybridization with C. calliope was probably C. obscura, since it is the only species of the Calliope genus that has a black breast and black outer tail feathers with white bases similar to those of C. pectoralis.